Nail artists are always sharing their amazing work on YouTube and Instagram, but their designs can be tough to recreate. It's hard enough to apply polish evenly, let alone draw complicated shapes with precision. If you've never tried nail stickers before, these little wonders will be game changers for your next manicure. 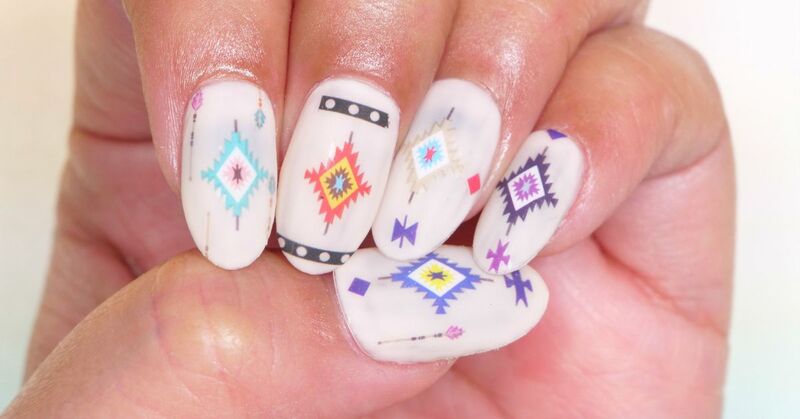 Nail stickers come in all kinds of shapes, sizes, designs and colors. They're easy to apply and can be used to add a special touch to any manicure. In the tutorials that follow, you'll find innovative ways to combine them with nail gel, metallic transfer foil, glitter, nail gems and jelly polish. So, get ready to be inspired. 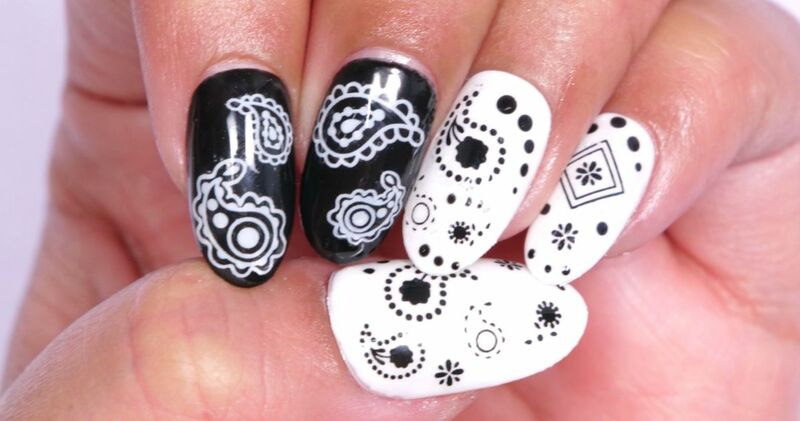 Black and white nails can look super edgy, but a carefully-placed nail sticker can soften the look. 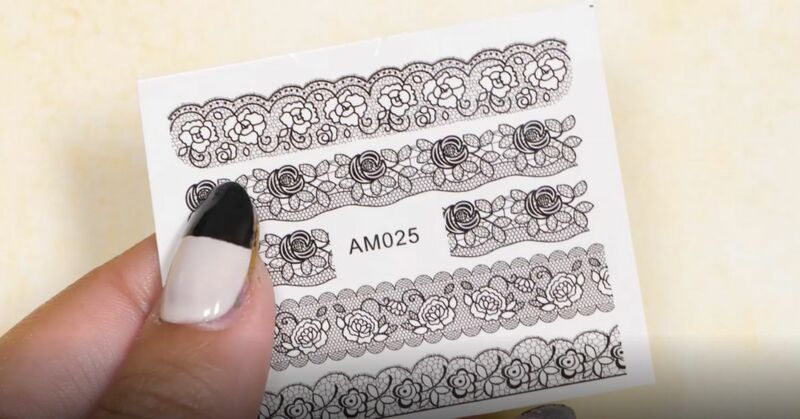 These lacy rose stickers make it easy to hide a less-than-straight line and give this bold manicure a feminine look. Add a few nail gems, and this design will be perfect for a formal affair. Get the tutorial here. When dreary winter days have you dreaming of blue skies and butterflies, grab a set of pretty stickers and create your own personal landscape. This spring-inspired manicure hits all the right notes. 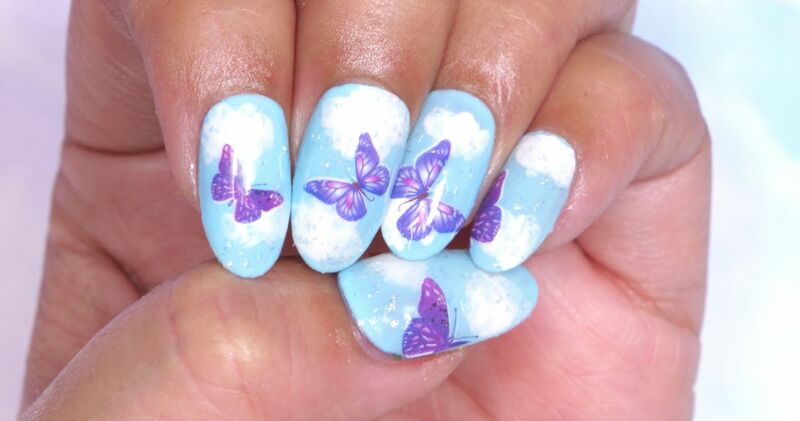 Just paint a baby-blue backdrop for your butterflies, along with some puffy white clouds, and your mood will improve instantly. Get the tutorial here. Need a cute style for a baby shower? Show the world your softer side with this sweet manicure. 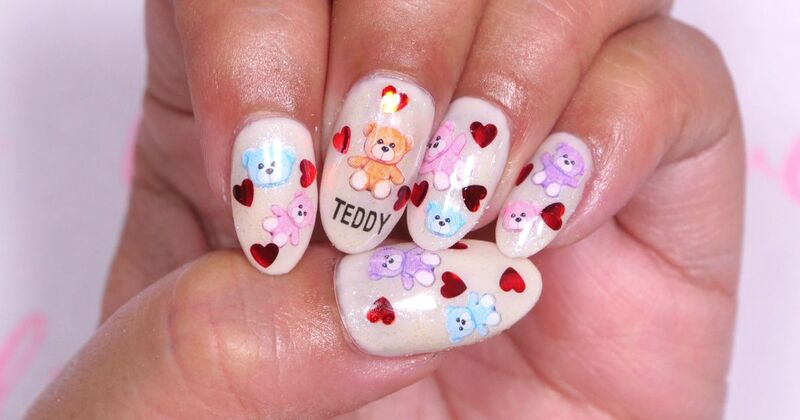 Teddy bears are the ultimate comfort creatures, so add a few pastel bear and red heart stickers to your next manicure. Get the tutorial here. Valentine's Day may be just a memory, but this romantic manicure is ideal year round. 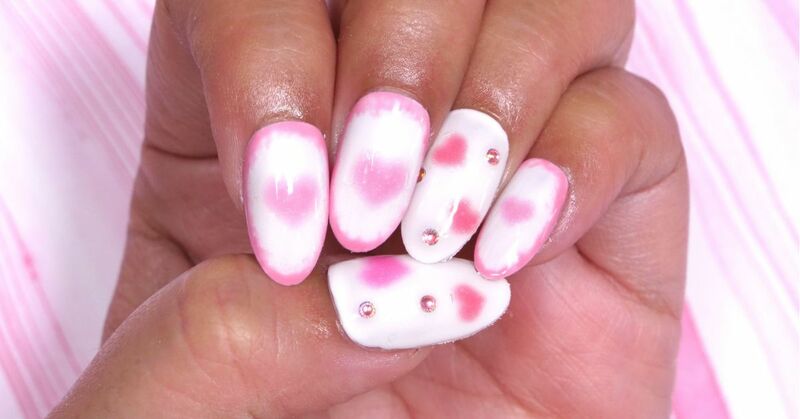 These pastel-pink heart stickers look beautiful against a glossy white nail. Treat yourself to a few nail gems, as well, for a manicure that's the very definition of feminine. Get the tutorial here. Painting a paisley design is beyond challenging. Swirls and dots require an incredibly steady hand. If you love this look, then nail stickers are the way to go. Just add a few coordinating dots of nail paint, and you'll have a unique design with real flair. Get the tutorial here. 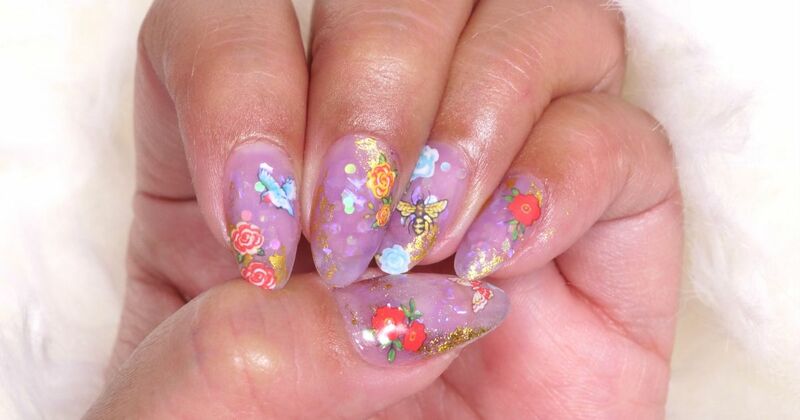 When a simple opaque manicure just won't do, try adding a few flower stickers to a jelly polish base. These layered nails include sequins, nail foil, and stickers. Each layer gives the finished look dimension and depth. This is a must-try manicure for spring! Get the tutorial here. For a creative design that really stands out, all you need are these tribal stickers. These nail art designs can be as colorful and unique as you want, so mix and match different colors and shapes to achieve your desired effect. This combination of purple, blue, and turquoise will look stunning with pastel fashions in the spring. Get the tutorial here. With so many colorful shapes and styles to choose from, stickers can really liven up a basic manicure. Which one would you try first?